What should you wear to be visible to other road users? Why is it unwise to unlock your iPhone while driving? 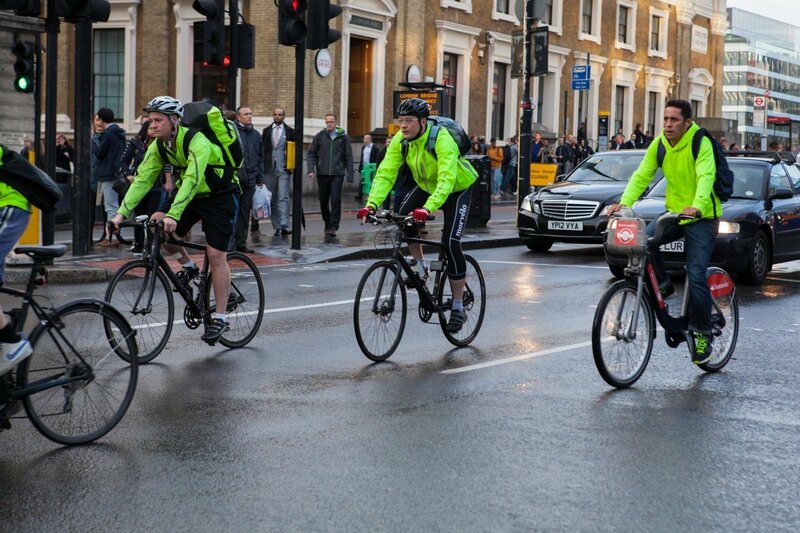 This and much more is explained in this article on the visibility of cyclists. According to the analyses of ŠKODA Traffic Safety Research Centre, night accidents between cars and cyclists have more serious consequences, which closely relates to poor visibility. “Interestingly enough, collisions mainly occur on straight roads outside towns and cities. The cause is usually high speed. Another contributing factor is poor luminous intensity of bicycle lights,” says Jiří Polomis from Czech agency BESIP, which seeks to improve road safety. So what is the most dangerous behaviour and how to prevent it? Why do cyclists think they are visible when they aren’t? Each moment behind the steering wheel brings tens or hundreds of pieces of input information we take in, which determines our driving style. Most circumstances are dealt with subconsciously, and we only direct our thoughts to potentially dangerous situations. As a result, it’s natural for drivers to focus their attention on places where another car could show up. One would assume that the largest portion of collisions between car and bike happens on complicated road sections, such as junctions. However, numerous studies have shown that one half of accidents happen on straight roads. While cyclists may quickly come with the explanation that the cause is inattention of drivers, the truth is much simpler: the driver just didn’t see the cyclist. Tens of similar situations happen in countries around the world. The conclusion is clear: cyclists tend to overestimate their own visibility. In other words, they think they are more visible than they actually are. The problem is that they perceive the reality from their own point of view. They perceive the world from the position of a relatively slowly moving observer who can see and hear a loud and illuminated car from far away. They don’t realize how much they blend in with their surroundings in the eyes of a driver. Already in 2004, a series of studies proved that fluorescent colours can be seen earlier, better, and at a greater distance by drivers than other colours. Fluorescent colours reflect invisible UV radiation in a spectrum that can be seen by the human eye, even 200% more clearly than conventional colours. The most suitable colours are orange and yellow, which are very rare in nature, and drivers respond to them well because they are associated with warning signs. Fluorescent tights rank among the most suitable pieces of clothing, as they were spotted 3.3 times earlier by drivers than fluorescent jackets. Nevertheless, cyclists should be aware of the fact that fluorescent colours don’t work at night, as car lights don’t emit UV rays. Reflective materials come in handy after dark, as they can reflect artificial light. On the other hand, their poor breathability makes them unsuitable as materials for clothes, which is why they are mostly used on vests. “At night, reflective material is visible at a 3 times greater distance than white clothing and at a 10 times greater distance than blue clothing,” says Jiří Polomis from BESIP agency. Finding out whether a bright yellow jacket can actually prevent collision between bike and car was the aim of the largest known research, which was carried out in Sweden between 2012 and 2013 and which involved 6,793 cyclists. In order to get enough volunteers, the researchers were recruiting them with the help of media, and even organized a prize draw to give volunteers a proper motivation. The participants were divided into two groups, with one group riding in yellow garments (coming in sizes XS to XXL) and the other group biking in their own clothes. When the results were compared a year later, it turned out that the group in yellow experienced 47% less accidents in general, and a whole 55% less collisions with motorized vehicles. Another study from the same time period by Dr Rick Tyrrel from Clemson University, South Carolina, showed that cyclists wearing reflective vests have a 67% chance to be registered in time by drivers. The chances increase to 94% if the vests are supplemented with reflective knee and ankle bands. It’s been proven that drivers respond better to moving objects. While a vest remains on the same level the whole time, and may thus be mistaken for road signing, cyclist’s ankles keep moving up and down, which makes them easily recognizable even at a distance. Another contributing factor is that the car headlights are pointed from the cyclist’s waist down. Why turn on lights in the daytime? It goes without saying that cyclists carry front and rear lights at night or in poor visibility conditions. Research has shown, however, that daytime lighting improves safety to a great extent. According to a Danish study from 2012, the risk of collision with a car decreased by 19% in cyclists who used their lights during the day. It may be disappointing that most night lights will be useless during the daytime, as they must be powerful enough to ‘beat’ daylight. 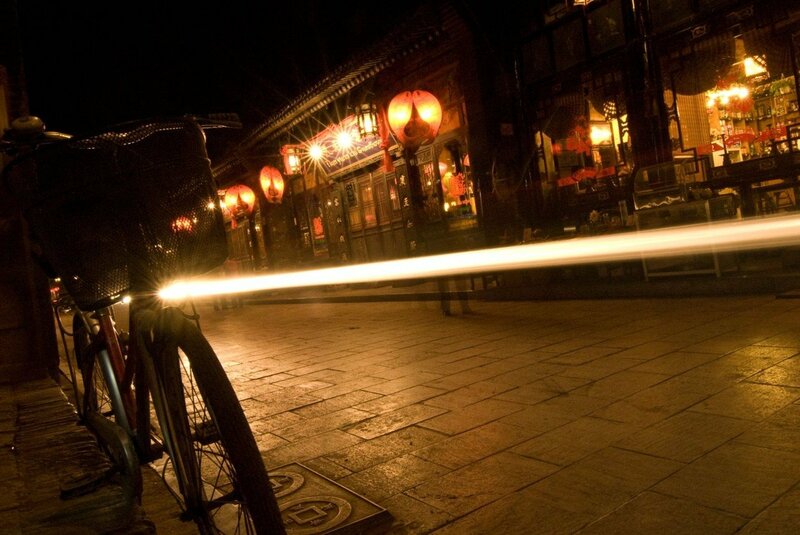 The output of a suitable front light should be at least 100 lumens. Today the market offers lights with an output of several hundreds or thousands of lumens, the more the better. Quite naturally, better quality and higher output increase the price. For example, a set of front (1,100 lumens) and rear light (300 lumens) by Lezyne costs 130 euros. 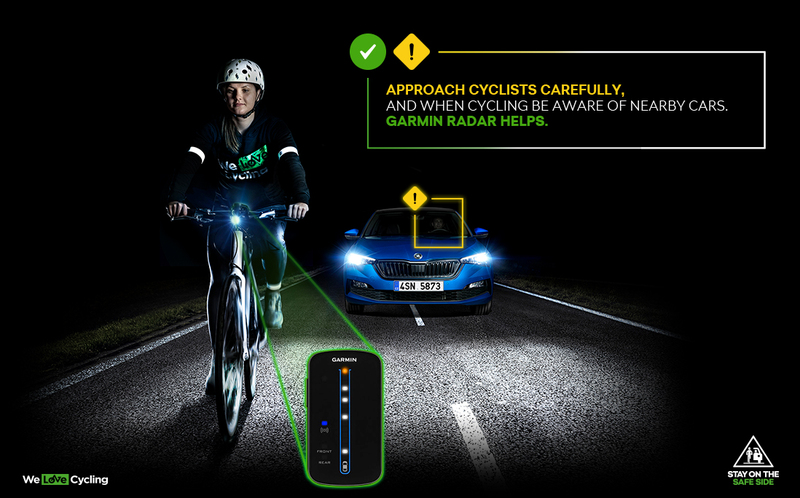 While steady front light is recommended for night rides, during the day it’s advisable to use flashing mode, as it quickly distinguishes the cyclist from their surroundings. It’s not all about intensity, the light should also be mounted at a correct angle. It’s been proven that deviating the rear light on the seat post by a mere 10° from the centre line of your trail significantly decreases your chances to be seen in time by an oncoming driver. A 2016 study from Sweden examined in what way drivers overtake cyclists on a straight road in an open space. It turned out that on average drivers start overtaking only 1.5 seconds before the car catches up with the cyclist. In case everybody is aware of everybody, the encounter will in all probability be safe. However, even a short moment of inattention can result in collision. 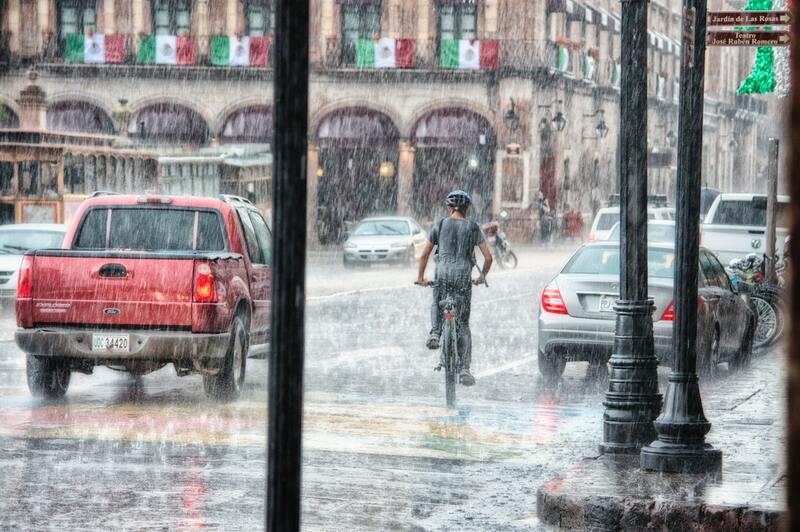 All it takes is poor visibility of the cyclist or the driver’s insufficient attention. It’s been calculated that finding and unlocking an iPhone takes about 4 seconds. That’s enough for a car doing 50 km/h to cross the entire soccer field. That’s why safety experts praise modern assist systems installed in new cars that are able to alert the driver to a risk of collision with an obstacle in front of the car, including cyclists. Of course the world is not an ideal place, but if it were, the encounter would happen like this: the cyclist knows that driving requires intense focus, so they make it easier for the driver by wearing bright-coloured clothes and using lights. The driver can see the cyclist at a distance, which enables them to respond in time, slow down and overtake the cyclist at the right moment. They both respect each other, avoid each other in a safe way, and if they could hear each other, perhaps they would even greet each other. “Hello, thank you, good bye…” Maybe we will live to see this happen one day.